On March 20, the president asked Congress for a three-year extension of Trade Promotion Authority (TPA). 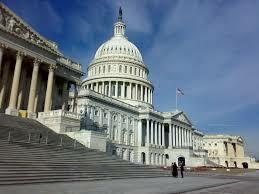 TPA provides for a streamlined consideration of trade agreements by the Congress. To date, the only negotiations conducted by the Trump administration under TPA is its renegotiation of the North American Free Trade Agreement (NAFTA). The administration did not rely on TPA for its recently announced agreement with Korea on a revision of their bilateral agreement because it wanted to conclude the negotiations quickly, and presumably the agreement will not require changes in U.S. law. This post considers the request for TPA extension and how the administration intends to use it, as well as the likelihood that Congress will renew it. Under the Bipartisan Congressional Trade Priorities and Accountability Act of 2015, the latest TPA legislation, Congress will give a trade agreement negotiated by the executive branch an up-or-down vote by a simple majority, without amendments, provided that it meet standards set by TPA and the administration fulfills consultation requirements. The Act provides for the automatic extension of TPA for three years if requested by the president and neither House of Congress adopts a resolution of disapproval before July 1, 2018. Without the extension, the current authority would only apply to agreements entered by the president before July 1, 2018. If TPA is extended, that deadline becomes July 1, 2021. In requesting TPA extension, the president is required to report on the use of the existing authority, including the trade agreements that have been negotiated under it, the progress in negotiations to achieve the “purposes, policies, priorities, and objectives” of TPA and the reasons the extension is needed to complete negotiations. In response, the president’s report broadly outlined the progress to date in the NAFTA negotiations and reiterated the administration’s goals of updating and rebalancing the Agreement. It did not indicate when the administration anticipated sending a renegotiated agreement and implementing legislation to the Hill. Digital Trade: to use WTO discussions initiated in December “as a valuable forum to develop commercially meaningful rules that address restrictions on digital trade” and work with like-minded WTO Members to advance digital trade issues within the WTO. With regard to bilateral negotiations, the administration particularly focused on its aim of expanding trade and investment with the United Kingdom. It pointed to UK constraints on starting bilateral negotiations before it formally exits the European Union in March 2019 as a strong justification for TPA extension. The administration also cited its interest in negotiating bilateral agreements with Trans-Pacific Partnership (TPP) countries, in particular those with which it does not already have an agreement (Brunei, Japan, Malaysia, New Zealand and Vietnam). But, it made no mention of the possibility of re-entry into the TPP. It also reiterated the U.S. desire for “a closer trade relationship with Japan”. The report briefly notes that the administration is “exploring numerous potential trade agreement partners”, including in Africa and Southeast Asia. Senate Finance Committee Chairman Orrin Hatch welcomed the request, as long as the administration commits to use the extension “to seek new, market expanding trade negotiations consistent with the high standard statutory trade negotiating objectives”. While Congress is generally expected to renew TPA, it may be less inclined to do so if a renegotiated NAFTA does not meet congressional objectives. Of particular concern to a number of members of Congress would be the elimination of an investor-state dispute settlement system, which is one of the U.S. proposals that the business community and the NAFTA partners oppose.